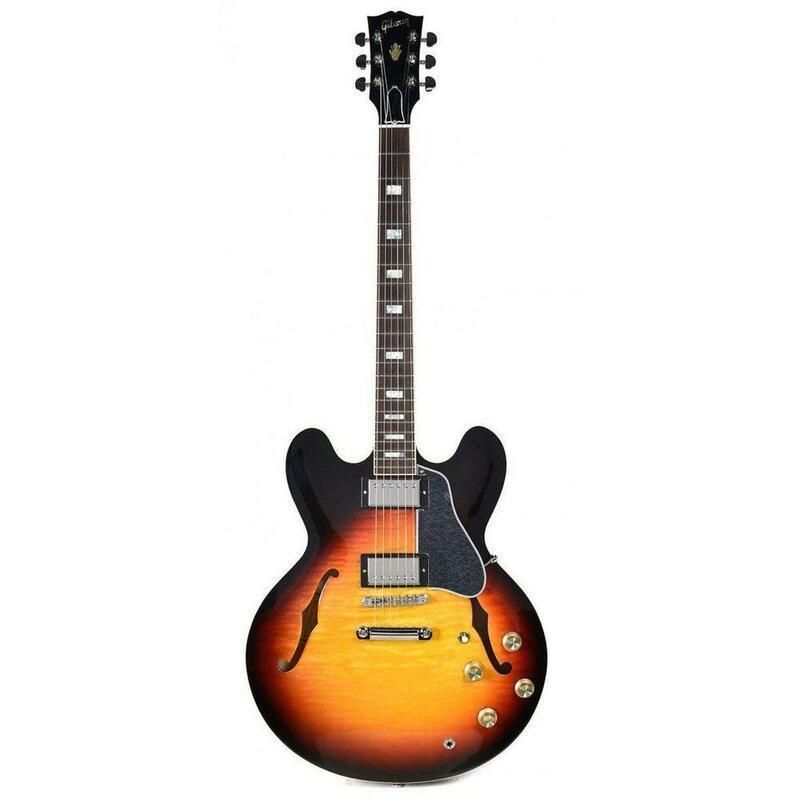 The Gibson ES 335 Figured Electric Guitar is a spectacular American-made, high-quality, arch-top guitar by Gibson. At Haworth Guitars we think that the AAA highly figured maple veneer on the body of the Gibson ES-335 Figured Guitar is breath-takingly gorgeous. The rounded-C mahogany neck feels comfortable and smooth to play while the dual MHS humbucker pickups sound bold and bright. 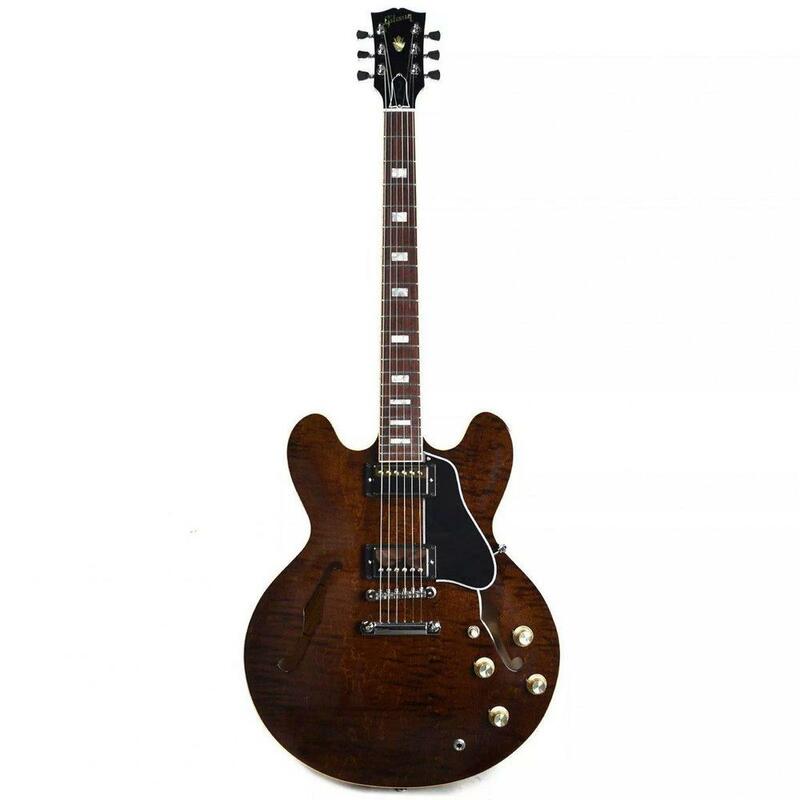 The nitrocellulose finish on the Gibson ES-335 Figured Electric Guitar helps the guitar's natural tone to ring through and the three finishes Antique Sunset, Antique Walnut and Dark Vintage all do the gorgeously-figured body justice.